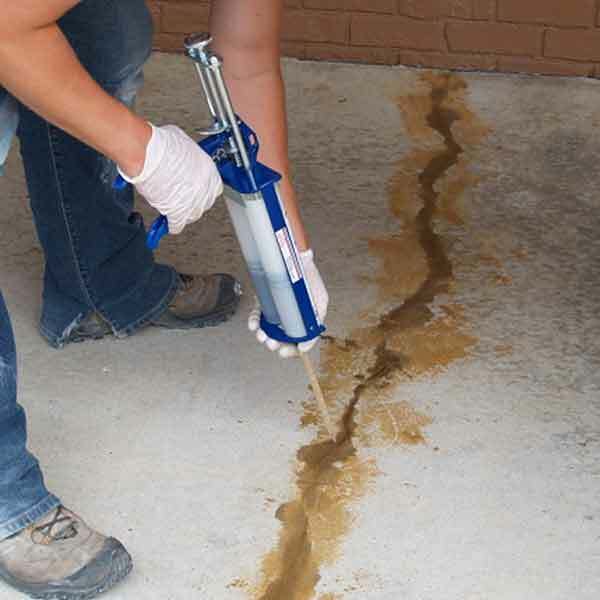 If you checked out our Exterior Waterproofing page, you’ll see that it’s a messy job! Excavating around your home is a big project. In fact, while exterior waterproofing is usually the best fix, it simply may not be in the budget for some projects or homeowners. 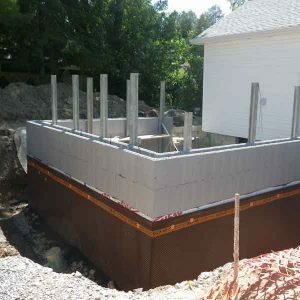 Likewise, it may not be possible to access the foundation wall from the outside. In these circumstances, we can waterproof your basement from the inside. 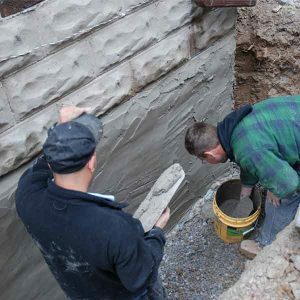 We do this in a similar way to exterior waterproofing, just along the inside of the foundation wall. In cases where it's not possible to access the foundation wall from the outside, we can waterproof your basement from the inside. What we need is a way to divert any water leaking through the walls of your home to a discharge source. 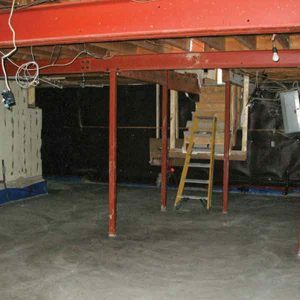 To do this, we’ll start by breaking up the concrete floor along the perimeter of your basement approximately 10” out from the basement wall. Once we do this, we can remove the concrete and dig out a trench. The trench is needed to accommodate the same type of 4-inch weeping tile (a continuous pipe used to drain water) that we would use on the outside of your home. The weeping tile is then connected to a discharge source, such as a floor drain or a sump pump. 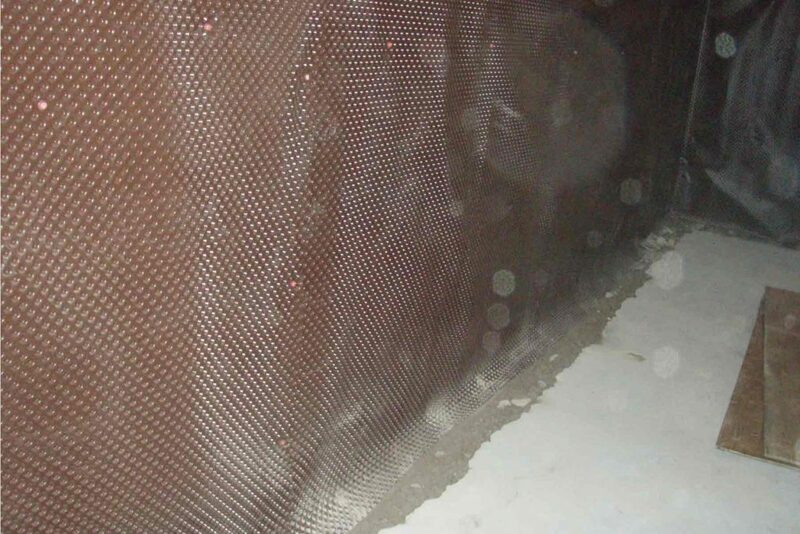 To catch water leaking through the walls, we will install Delta MS, the same sheet of dimpled, high-density polyethylene drainage membrane that we use for exterior waterproofing. The dimples create an air space between the wall and the membrane, allowing any water that comes through to drain downwards into the weeping tile, instead of getting trapped against the wall. Once this is completed, we’ll cover the weeping tile with gravel to protect the weeping tile while allowing water to flow through. 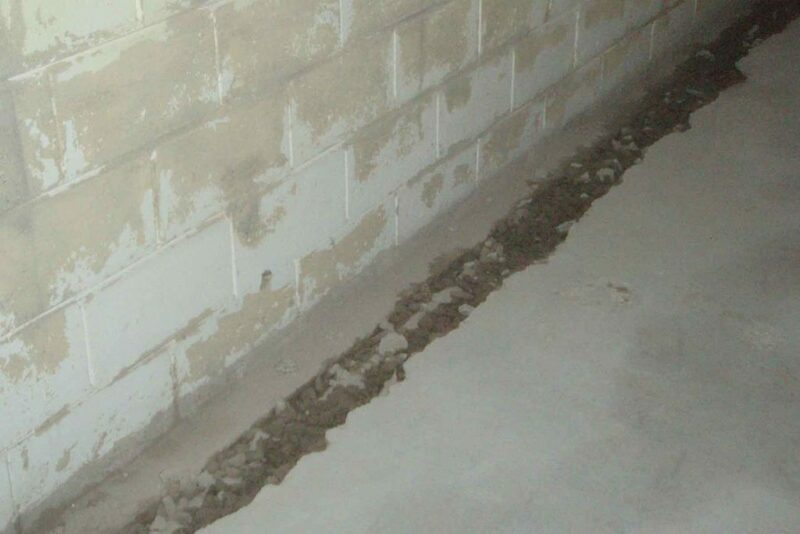 However, we’ll cover this trench with a new layer of concrete in order to match the existing cement floor. 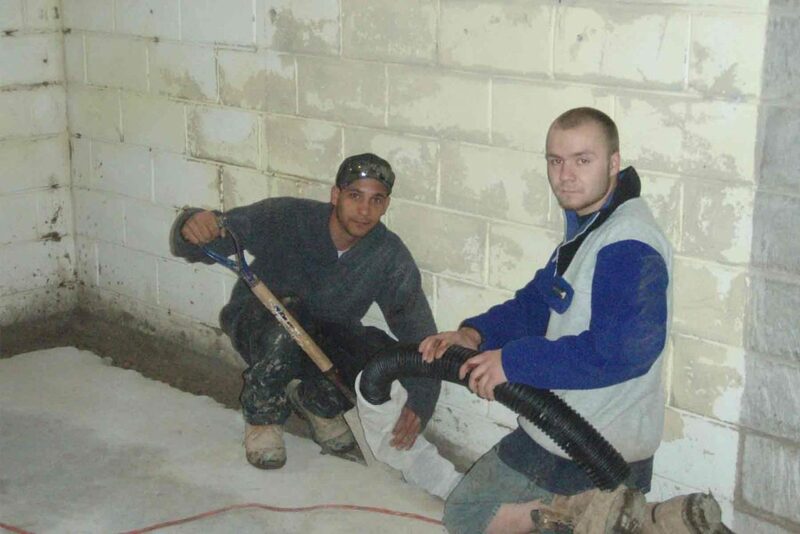 When everything is done, drywall, tile and carpet can be restored and you’ll basement will look like new – and no more water!